Every year it seems we start to celebrate Christmas earlier. As soon as October arrives, shops put up their decorations, fairy lights go on sale, and the question “where has the year gone?” is on everybody’s lips. When the smell of pine and the tune of Snoopy’s Christmas are creeping in to our daily lives, we know the office event of the year is drawing near. It’s the one opportunity to leave the office and see a side of your workmates you’ve never seen before. It’s the chance to finally befriend the guy from the fifth floor that you’ve shared the lift with all year. It’s a time to reflect on the year that’s been and the successes and shortfalls you’ve faced as a team. Where better to do all this than at the work Christmas party? Planning is essential in organising the Christmas party. After all, it only happens once a year and as a rule of thumb, it must be better than the year before. Some offices even put a special ‘Christmas Party’ committee together who sacrifice their lunch breaks in order to bring you the best party possible. It’s a morale-boosting occasion and many take it very seriously. Knowing how quickly venues, caterers and entertainers book out, the Christmas party planning can sometimes begin mid-year – it’s true! The closer it gets to Christmas, the fiercer the competition for bookings gets. Wouldn’t it be great if you could keep your lunch breaks and let someone else do the planning? By booking your Christmas event with The Party Bus, you can do just that. Don’t be the employer who didn’t get their act together quick enough and ended up hosting a shared morning tea. Be the employer who hosts a party so good that it’s talked about until next Christmas! A Party Bus party is that kind of party. With a range of outdoor activities such as petanque, croquet and volleyball, staff can enjoy some quality bonding time from the minute they arrive. The extensive gardens make the Markovina Estate a magical setting for your Christmas event. Once you have enjoyed some exquisite food under a canopy of grapevines, you can head to the dance floor where our in-house DJ will keep the party alive with great music and laser lighting effects. We are happy to add transport arrangements to your evening package to ensure staff make it home safely. Book now if this sounds like you! Previously a sell-out event in the past few Christmas seasons, the Medieval Feast is expected to be even more popular this year. It’s a great night of entertainment and laughter as staff dress up as their favourite medieval character and try their hand at sword fighting. We include a delicious meal, beverages and DJ in your evening’s package, as well as some fantastic entertainment. We know this event will sell fast so hurry and book today! 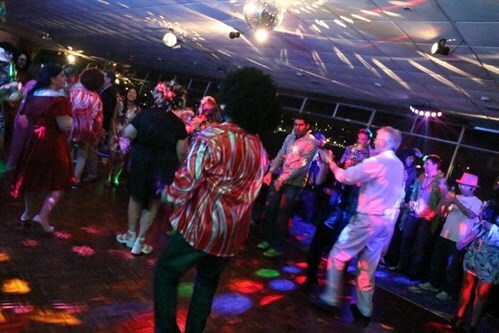 With all the glitz and glamour of the 60s, 70s and 80s, the Boogie Nights event is a fun and brilliant night out. The retro DJ and lighting features create the perfect disco atmosphere where you can boogie on down to some of your favourite tunes. With plenty of great food and beverages included in the price, your group will be all smiles. We even offer a bus service to and from your work place – how easy is that? Book today and secure this fantastic event. You won’t have to lift a finger with this one. Watch your team let their hair down while they enjoy a beautiful three-course meal. Spaced out over three different restaurants in Auckland, your staff will enjoy one course at each stop. We have upgrade options available if you would like to include your own Party Bus host who doubles as a bar tender and DJ. Let Party Bus organise it all so you can completely relax with your team. Book now! 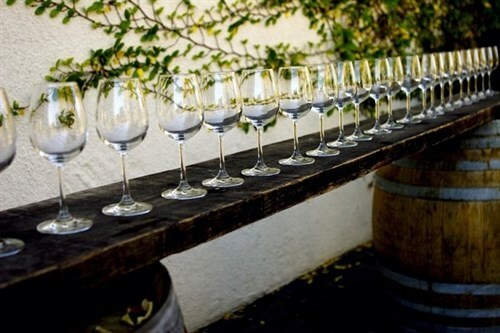 Say “thank you” to your staff in style this Christmas and book a Wine Trail with Party Bus. This indulgent event allows to you taste some of New Zealand’s most spectacular wines across two vineyards and includes a delicious lunch in your day’s package. We offer transport to and from your preferred location so you can rest assured that your staff will get home safely. Book today and feel free to choose from a number of our buses to cater for your group size. Seating up to 30 guests, our VIPER Limo Coach has everything you need. Three TV screens, toilet facilities, lounge seating and a personal host are some on the many features that will ensure you and your team have a wonderful VIP experience. We offer light snacks, pizza and a premium beverage service during your four hour cruise around Auckland. With plenty of space to mix and mingle, the VIPER can be booked for either a day or night event. Contact us to find out more or to secure your VIP experience! After a year of hard work, it’s time to sit back and let someone else do the hard work for you. The Party Bus team will make your Christmas party planning a breeze so you and your team can be guaranteed a good time. Don’t let the Christmas party committee spend hours organising every small detail that goes into this kind of event; Party Bus has it under control. Be the cool boss who throws a great party and reap the rewards of seeing your happy staff mingle in a friendly environment. It’s time to come to terms with the fact that Christmas is on its way, so get out those reindeer sweaters and book your Christmas event with us today. Spaces fill very fast so book now and avoid disappointment.